Koyah is a young endangered male orangutan, who lives in the Segama Forest Reserve in eastern Sabah, Borneo. Over the past 60 years, the orangutan population in Borneo has declined by more than 50% and their habitats have shrunk by at least 55% in the last 2 decades. Very often, baby orangutans are being separated from their mothers and traded in the wildlife market. Just recently, the Bornean orangutan has been declared critically endangered by the International Union for Conservation of Nature (IUCN). This means that they now face extremely high risks of extinction in the wild. But there is still hope. WWF is working in this region to secure their habit and ensure that they have a safe place to live in. Koyah represents all the orangutans we help. We hope that by donating to save Koyah, you can experience the challenges and successes involved in conserving this most unique of great apes. Your sponsorship of Koyah will help WWF protect orangutans in the wild through our campaign to stop habitat loss, hunting and illegal trade. Help us help them before it’s too late. 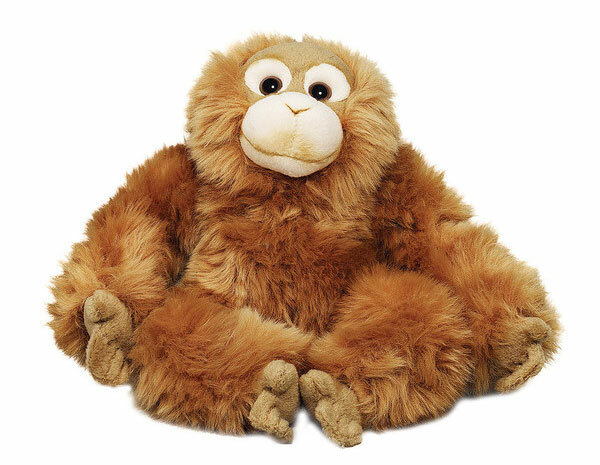 As a thank you, you’ll get a cuddly toy orangutan and special gift pack including a certificate and a stunning orangutan portrait. You can choose for this gift pack to be sent directly to a recipient you want to gift this donation for or you can receive it to give to them yourself. I am getting behind WWF because I truly believe they are making a difference in this world. I am inspired by everything from their field projects to the passion oozing from their staff. Kudos to the ever persevering WWF-Singapore team in their never-give-up spirit! You will get regular updates, an adoption certificate & an orangutan plush toy! To secure a future for Bornean orangutans and with your help, WWF focuses on restoring their habitats, addressing wildlife crime and reducing human orangutan conflict.